Faculty, students, administrators and staff: Please watch your inbox for a link to a Post Active Shooter Drill Survey. We would appreciate your participation in the survey before Monday, October 30. This will give us valuable feedback about the drill held on October 24. All vehicles parked in Lot G (the lot outside Schroeder Residence Hall and the Student Fitness Center) must be moved from the lot by 5:00 p.m. today, Thursday, October 26. On Friday, October 27, the lot will be cleaned and restriped by members of the campus community who have volunteered to be part of the UE Gives Back on Campus project. Parking will be available in Lot H, which is located north of the tennis courts; and in Lot O, which is south of the Armory building. The Office of Marketing and Communications will have a photographer on campus for a photo shoot Wednesday, October 25, through Friday, October 27. UE students and faculty have always been very cooperative and accommodating during previous shoots. As a result, many great photos have been taken for the University’s website and publications. Kim McDonald will try to notify faculty in advance if photos will be taken in a particular class; however, weather may force the shoot inside, and it is possible that last minute requests will be made. If faculty members know that they will be giving a test or do not wish to have their class photographed any of these days, please inform McDonald at ext. 2683 or km117@evansville.edu and the classroom will be avoided. French Conversation Table: Game night! The French Conversation Table is meeting up again tonight - Wednesday, October 25 - from 5:00-6:00 p.m. in Room 214, Hyde Hall. We will keep working on our pronunciation and we will play Pictionary ("Dessiner, c'est gagner!") in French. Students, staff, faculty are all welcome, regardless of their level in French! Venez parler français avec nous! An Arts and Sciences Internship Showcase is planned for today - Wednesday, October 25 - from 3:30-5:30 p.m. in Eykamp Hall, Ridgway University Center. Join fellow students for the internship showcase, where selected arts and sciences students will present their internship experiences to classmates, faculty, staff, and a panel of judges. Food is available and prizes will be awarded. The Newman Center welcomes Sr. T this evening at 5:00 p.m. for her talk about "Life, Hope, and Living for the Lord". All are welcome and dinner will be provided! Reem Al Alawi is presenting I-House Oman! Please join us tonight at 7:00 p.m., upstairs in Ridgway University Center. Reem Al Alawi is presenting on Oman. We hope to see you there! "A mighty fortress is our God..."
Do you know the rest? Whether you do or not, you are invited to join the Neu Chapel community tonight at 9:00 p.m. to learn together Martin Luther's Reformation hymn, "A Mighty Fortress Is Our God," in preparation for Reformation Sunday. Come join us as we sing together! All are welcome! Fireside Chat Goes to Honey Moon Coffee Co.! This week's Fireside Chat will be held at Honey Moon Coffee Co., where we will continue our theme "Life's Maze, God's Mission, and Me: What Is God Calling Me to Do?" We will meet as a group in Grabill Lounge (basement of Neu Chapel) at 7:30 p.m. tonight and will walk to Honey Moon as a group. All are welcome to join the conversation! Come to Panera today - Wednesday, October 25 - to help support College Mentors for Kids. Just show this flyer at the register and tell them you are there for the give back. College Mentors helps 35 kids from lower income families in the Evansville area and introduces them to the opportunities college can present them. We also help to educate them on cultural understanding, community service and of course higher education. The Newman Club will be offering a 20 minute rosary prayer every Wednesday at 10:00 a.m. in Room 209 in the library. Students and faculty are welcome. For more information, contact Olivia at ov4@evansville.edu. The director of admissions and recruitment from Purdue University College of Pharmacy will give a presentation about pharmacy graduate programs today - Thursday, October 26 - at 4:00 p.m. in Room 101 in the Koch Center of Engineering and Science. In addition to a PhamD, Purdue also offers PhD and MS degrees in industrial and physical pharmacy, medicinal chemistry and molecular pharmacology and pharmacy practice. Please come to this short presentation to learn more about these graduate opportunities. ERC is for everyone! The Emergency Responders Club (ERC) is holding its first ever meeting today. The meeting will be from 5:30-6:30 p.m. in Eykamp Hall, Room 253, Ridgway University Center. ERC connects UE student to emergency response volunteer opportunities, helps educate the university about health and emergency response topics, and shows appreciation to all emergency responders. If you would like to join, please be in attendance for this meeting or e-mail rs277@evansville.edu. Help us welcome the Ashoka site visit team to campus today. The UE community is putting our best foot forward and endeavoring to be named one of only 41 colleges and universities in the U.S.A. who have earned the Ashoka Changemaker Campus designation. If you have a UE Changemaker button and/or lanyard, please wear it today and tomorrow to show your support for changemaking! 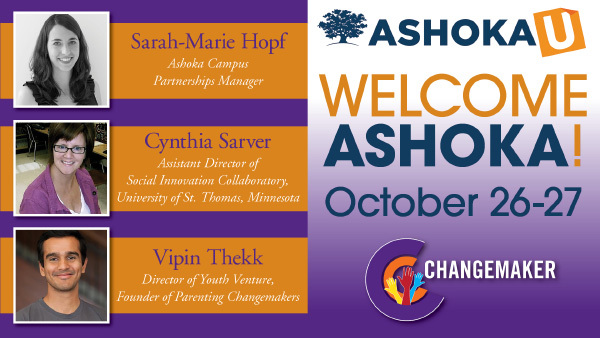 Our Ashoka guests are Sarah-Marie Hopf, Ashoka campus partnerships manager; Cynthia Sarver, assistant director of Social Innovation Collaboratory at the University of St. Thomas in Minnesota; and Vipin Thekk, director of Youth Venture and founder of Parenting Changemakers. To learn more, visit the Ashoka Changemaker campus page on Ace Link. The Venturing Crew will travel to Lyles Station this Saturday, October 28 from 6:00-9:30 p.m. where there will be a haunted corn maze, pumpkin patch, bonfire, food, hot apple cider, and more! The cost is $13 and sign-ups will be Tuesday, Wednesday, and Thursday this week on the first floor of Ridgway University Center. Questions? Email Sydney Winstead at sw228@evansville.edu. 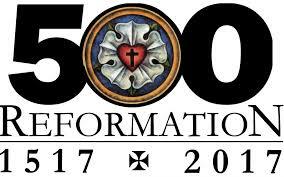 This Sunday, October 29, the Neu Chapel community will commemorate the 500th anniversary of the Protestant Reformation in our university worship service at 11:00 a.m.
We are excited and honored to welcome representation from Newman Catholic Campus Ministry. Together we will sing Martin Luther's Reformation hymn, "A Mighty Fortress Is Our God", and will consider how the people of God are always reforming. We will celebrate afterward with a German themed lunch in Grabill Lounge, sponsored by Methodist Temple UMC. All are welcome! Wear red! Bring a friend! You won't want to miss this exciting Sunday in Neu Chapel! TONIGHT! Thrills and Chills in Neu! Neu Chapel is transforming into a haunting place for our truly haunting Thrills and Chills musical experience tonight! At 9:00 p.m., we will have spooks and frights of our own. Come dressed up or not! Bring your pillows, blankets, and sleeping bags! Candy will be provided! All are welcome to attend this spooktacular event! Come join us for Catholic Mass this tonight from 8:00-8:30 p.m. in Memorial Plaza! All students are welcome to come relax and celebrate the sacrament with us! ALL December graduates should attend Commencement Central TODAY - Thursday, October 26 - between 11:00 a.m.-1:00 p.m. The event will be located in the Ridgway University Center just outside the UE Bookstore. It only takes a few minutes to finalize your graduation plans. You'll meet with the registrar, alumni affairs, and career planning offices. You can also purchase your cap and gown and/or order graduation announcements. There's a FREE gift for everyone that attends. Be sure to mark your calendar and add the event to your phone. Join the Newman Center to volunteer this Saturday at Ozanam Family Shelter. We will be preparing lunch and having a Halloween party for the kids! Meet at the Newman Center at 10:00 a.m.
Students who have received federal direct (sub/unsub) Loans and plan to graduate in the fall (or transfer after the fall semester) are required to attend a loan repayment counseling session. The Office of Financial Aid will hold the first session of the semester TODAY - Thursday, October 26 - at 2:00 p.m. in Eykamp Hall, Room 253, Ridgway University Center. The last session will be held on December 7 at 2:00 pm. Students in the GAP Greenbelt Connectivity Partnership: The Greenbelt Connectivity studied the interconnectivity of Evansville’s trails system and made recommendations to connect bike and jogging paths. These recommendations are being included in some of the city’s master plans and led to an official partnership with two city engineers for further work. The students in the Transformative Action and Strengths Finder FYS class learn how to identify problems in their world and develop the strengths they need to solve them. Several students have already proposed their own GAP projects for Spring 2018 and are working to make real change in the community! The Cuba Skate GAP Project is a non-profit organization that fosters cultural understanding through Skate Diplomacy. During spring 2017, the GAP team traveled to Cuba. Their project was to develop recommendations for a marketing plan for Cuba Skate. To learn more, go to https://www.evansville.edu/studyabroad/facultyLed.cfm. For the Infant Mortality GAP Project, a student team conducted research on the causes for the high rate of infant mortality in Vanderburgh County and developed a Safe Sleep campaign to be implemented throughout the county. They then met with Indiana state health officials to discuss how the campaign could be developed statewide. Maria Pickens and Sophia Rohleder each picked up solid finishes as the University of Evansville women's golf team finished up the Braun Intercollegiate on Tuesday at Oak Meadow Country Club. Limited to just one round due to inclement weather on Monday, Pickens and Rohleder each carded rounds of 82 on Tuesday. The duo tied for 29th place in the tournament. Giulia Mallmann and Madison Chaney were next for UE. Both checked in with 87 strokes to tie for 58th. Freshman Minka Gill completed the scoring for the Aces, posting a 90. Lexie Sollman played as an individual and finished play on Tuesday with an 87. She tied teammates Mallman and Chaney in the event. Medalist went to Butler's Rachel Gathof. She registered a 75 to finish one in front of a trio of players who tied for second. Her efforts helped the Bulldogs tie Southern Illinois for the team championship with a 311. Evansville tied Lipscomb for ninth place with a 338. The tournament wrapped up the fall season for the Aces. The squad will return to action in the spring at the beginning of March. The School of Education welcomed the Indiana Teacher of the Year, Jitka Nelson, to campus recently. Nelson has taught for 25 years in various grade levels in the Czech Republic, Canada, and the U.S. For the last six years she has taught English as a second language at Logansport Community High. Since earning this prestigious title, Nelson has been traveling across the state departing her wisdom on current teachers and soon to be educators. The School of Education was excited to welcome her to campus to inspire our education majors! Fall and Summer 2018 Harlaxton application deadlines are coming up! The priority deadline for applications is December 6 for fall and January 24 for summer. Course descriptions are currently available on the Harlaxton website, so check those out to see what classes we’re offering. Make sure to start filling out your applications now! This is the perfect time to talk to your advisors to see if studying at Harlaxton will work for you. If you have any questions, contact Georgina Ashley at ga47@evansville.edu or 812-488-3232. Spring 2018 GAP classes announced! As we enter advising week, students and advisors should take a look at UE’s largest ever offering of GAP classes. Students get class credit for making an impact in the real world, and can register on WebAdvisor by looking for the GAP prefix. Projects include using sunflower fields to help the environment and generate higher profits for farmers, working to solve infant mortality, designing a space for the humanities on campus and much more. Visit GAP offerings Spring 2018 to see the full list. Sign-ups to volunteer for the International Bazaar are now open! Questions? Email Emile at em238@evansville.edu or Ebonique at ee86@evansville.edu. Evansville Day School has announced a scholarship opportunity for students whose families are employed full-time by the University of Evansville. Any student admitted to Evansville Day School will automatically receive a 50 percent (25 percent for Junior Pre-K and Pre-K) tuition reduction. Once awarded, the scholarships will be automatically renewed annually. Evansville Day School is offering this scholarship because it understands that educators have chosen a profession with immeasurable societal impact, but with lower salary benefits than other fields requiring similar degrees and work demands. As the leading college prep school in the region, the Evansville Day School wants to partner with educators by making the school affordable to families who value the school’s mission and brand of education. More information on the scholarship is available in the Office of Human Resources at UE. Also, Evansville Day School invites those interested to Discover Why Day, an admission event scheduled for November 10 at 8:30 a.m. and 12:30 p.m. More information on Discover Why Day can be found on the Day School’s event page: https://www.evansvilledayschool.org/discover-why-day. For additional information on the scholarship, or Evansville Day School’s educational experience, contact the Day School’s director of enrollment management, Tiki Thompson at tthompson@evansvilledayschool.org. The Neu Chapel Society recently made a $2000 donation to UMCOR (United Methodist Committee on Relief), which will relieve some of the suffering in Texas, Florida, and Puerto Rico because of the recent hurricanes. Many thanks to the campus community for contributing to the special offering taken the week of August 29. 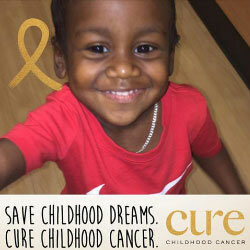 If you would like more information about the work of UMCOR, go to the organization’s website at www.umcor.org. What does UE student Natalie Schisler have to say about studying abroad? Natalie spent some time in Costa Rica this summer doing a Spanish immersion program. You can now read about her experiences on the Study Abroad website. The Office of Residence Life is looking for students to be resident assistants for Spring 2018. This is a great leadership opportunity and a chance to build a variety of skills. To apply, please fill out an electronic application at https://www.evansville.edu/residencelife/. The deadline to apply is October 25. There is still a work study position available in the recycling area! Please go to WebAdvisor/Student Employment/Student Employment Positions Listing, ADS Administrative Services, Recycling Assistant to find out more. Hours are flexible within Monday-Friday, 8:00 a.m.–4:30 p.m. Please email ae152@evansville.edu or call ext. 2045 if you have questions. Interest forms for alternative spring break due Wednesday! While interest forms are optional, we encourage any student interested in applying for the alternative spring break program to turn one in. We will be heading to the Houston, Texas, area for disaster relief work and hope as many people as possible will consider participating on this amazing new opportunity! Forms can be found online at: www.evansville.edu/studentengagement/alternativeSpringBreak.cfm. In the 100th minute, senior midfielder Ian McGrath scored a golden goal to give the University of Evansville men's soccer team a 2-1 overtime victory over Central Arkansas on Tuesday night at Arad McCutchan Stadium. "We say it all the time, there's no give up, there's no quit, there's no lack of fight in this team," said Aces head coach Marshall Ray. "We've done a great job on our home field in overtime games this season and last year of always coming back and competing and believing in ourselves and trying to find a way to get a result." The win is the Aces (8-7-1, 2-3-1 MVC) third this season in overtime matches played at Arad McCutchan Stadium. McGrath and sophomore forward Ben Weber each scored and recorded an assist to lead the Aces. In goal, senior Matthew Keller earned his sixth victory of the season, making a pair of saves and allowing one goal. For the Bears (7-9, 5-2 MVC), Niklas Brodacki scored his MVC-best 11th goal of the year in the loss. Central Arkansas scored first in the 33rd minute as Brodacki broke free through the Aces' backline and made a long run before slipping it into the back of the net to give the Bears a 1-0 lead. The Aces answered in the 63rd minute as junior forward Zac Blaydes crossed the ball in and found McGrath at the far post. McGrath headed the ball across the face of goal and Weber tapped it past the Bears' keeper to tie the match at a goal apiece. Weber nearly had his second goal of the night in the 84th minute as he fired a shot just wide of the far post on a one-on-one opportunity. Nearly the entire first overtime passed by before Evansville found its game-winner off the foot of McGrath. With just 16 seconds left in the first overtime, sophomore defender Simon Waever launched a throw-in that was headed by senior defender Chris Shuck. The ball traveled deeper into the box where Weber got his head on it and flipped it back to McGrath, who spun and clipped the ball past the Bears' keeper and in for his fifth game-winning goal of the year. "Simon had a decent throw, but Chris Shuck really did a lot to get to that ball and flick it on," said Ray. "(McGrath) has been nicknamed "McClutch" and he finds his way into the game and makes a huge impact for us and he was battling and fought for that last goal." In the match, Evansville and Central Arkansas tied with 11 shots each with the Aces owning a slight edge on shots on-goal, 4-3. The Aces will go for three-straight victories when they host Drake on Saturday at 5:00 p.m. at Arad McCutchan Stadium. 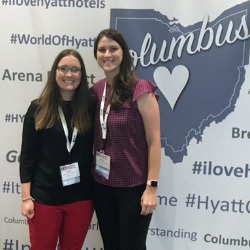 Bethany Huebner, PT professor/director of clinical education and Katie Whetstone, PT professor and assistant director of clinical education, recently attended the Education Leadership conference in Columbus, Ohio. University of Evansville redshirt junior Ryan Taylor was named to the Missouri Valley Conference Preseason All-Conference Second Team prior to the league’s basketball tipoff on Tuesday in St. Louis. Taylor finished last season as the #7 scorer in the league, totaling 14.1 points per game. He is the fourth-leading returner in that category this year. The 6-1 guard played in all 33 games last season and was a 2-time conference Newcomer of the Week. His top outing came against Norfolk State as he drained 38 points while hitting 13 shots. In a home win over Drake in league play, Taylor had his best MVC effort, recording 25 points. The annual preseason poll was also released with the Purple Aces being chosen to finish ninth in the conference in 2017-18. UE received 88 points. Evansville went 16-17 a season ago while posting a 6-12 MVC mark, but carried momentum late in the year, going 5-2 in the last seven regular-season contests. Selected as the first university participant in the nation, the University of Evansville Theatre hosted guest artists from the Oregon Shakespeare Festival’s internationally acclaimed Play on! Project, October20–22. The Play On! Project is a provocative effort to translate William Shakespeare’s canon into contemporary English. Taylor Bailey, a 2009 UE graduate, is assistant director of the project and attended departmental auditions on October 22 to cast Romeo and Juliet. Playwright Hansol Jung and dramaturg Aaron Malkin then worked with 21 student actors and dramaturgs on Saturday and presented a reading of the newest version of the play on Sunday. After working with the UET students, the Play On! team then travelled to Minneapolis, Minnesota, where they are workshopping the script with actors from the Guthrie Theatre production of Romeo and Juliet, which happens to feature 2009 UE alumna Kelsey Didion as Mercutio. Learn more about the Oregon Shakespeare Festival’s Play On! Project. 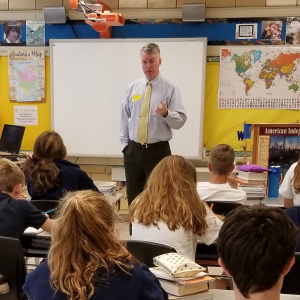 Professor Robert Dion spoke to eighth graders at Christ the King School last week about presidential powers and the U.S. Constitution. UE President Tom Kazee spoke to the same class last month about the powers of the legislative branch. The students are preparing to compete in the We The People program, which focuses on teaching young people about how the Constitution works and the importance of being engaged citizens. Pengcheng Xiao, assistant professor of mathematics, has had a paper published in Neurocomputing. The title of the paper is "Manifold NMF with L21 norm for clustering", and the paper proposes a robust manifold nonnegative matrix factorization (NMF) algorithm based on L21 norm, and the projected gradient method is utilized to obtain the updating rules. UE professor of history James MacLeod recently delivered a lecture to an enthusiastic and receptive crowd at the Evansville reserve officers club on “The Impact of World War Two on Evansville.” The lecture dealt with topics covered in MacLeod's recent book, Evansville in World War II. MacLeod serves on the boards of both the Vanderburgh County Historical Society and the Southwestern Indiana Historical Society.